* Very professional and friendly staff. Kudos to Barbara but really everyone we dealt with was good! * Apartment is very clean and comfortable. * Dry sauna is available most of day and a net plus. * Well located. Recepção, Alex mto atencioso e nos orientou em todas nossas dúvidas. Localização, o apartamento é tem bom tamanho para 3 pessoas, a cozinha muito bem montada, o atendimento é muito bom, incluindo café da manhã e piscina, gostei da estadia. Piscina agradável, pessoal muito profissional e simpático, ginásio (academia) suficiente. TV: muitos canais. Atendimento da equipe e café da manhã do restaurante. Boa localização. Cama confortável, apto espaçoso, disponibilidade da garagem, atendimento excelente! Excelente localização, bom atendimento e presteza dos atendentes. Também gostamos muito do café da manhã incluso na diária, muito bom. A acomodação é bem localizada, próxima de diversos shopings, há restaurantes nas proximidades, lanchonetes, padaria 24 horas. Os funcionários são muito atenciosos e sempre solícitos. Lock in a great price for Adagio SP Berrini – rated 8.6 by recent guests! 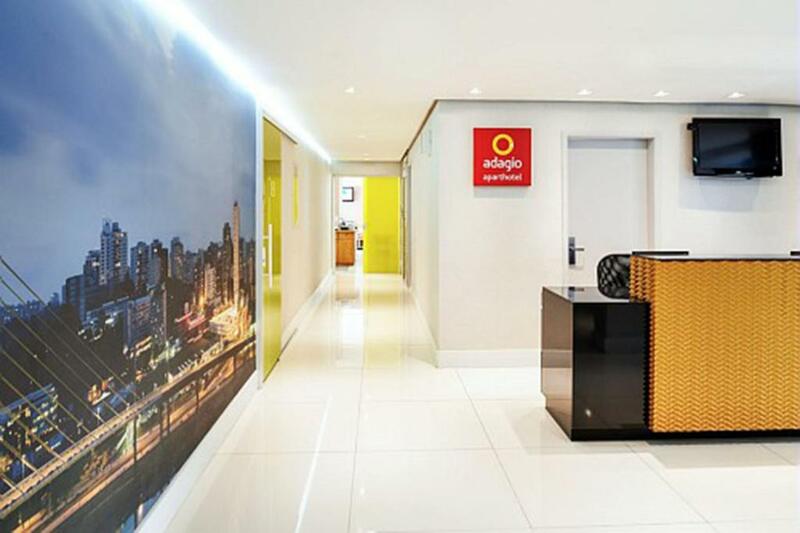 Adagio SP Berrini This rating is a reflection of how the property compares to the industry standard when it comes to price, facilities and services available. It's based on a self-evaluation by the property. Use this rating to help choose your stay! 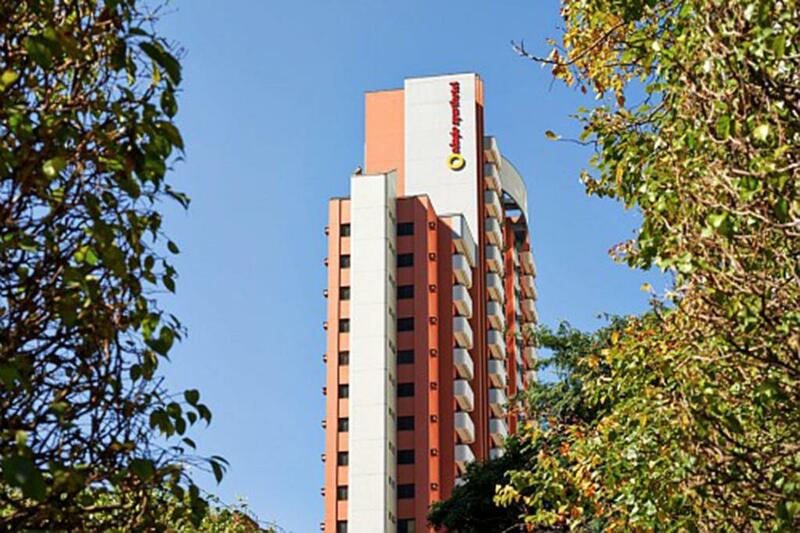 Located in Brooklin, Adagio São Paulo Berrini features an outdoor pool. 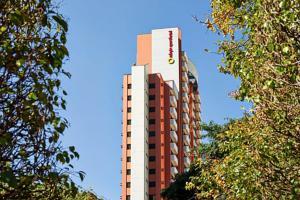 It is one block from Berrini Avenue, 9.3 mi from the city center and 5 mi from Congonhas Airport. Every room at the 3-star Adagio São Paulo Berrini is comprehensively furnished and features a fully-equipped kitchen, seating area and balcony. Guests can relax in the sauna or work out at the gym. For younger visitors there is a playground. When would you like to stay at Adagio SP Berrini? This larger 2-bedroom apartment features a seating area, cable TV, a balcony and 2 private bathrooms. It also comes with a kitchen fitted with a stovetop, a refrigerator, a microwave and a coffee maker. This room features a double bed, a balcony, a seating area, cable TV and a private bathroom. It also comes with a kitchen fitted with a stovetop, a refrigerator, a microwave and a coffee maker. This 2-bedroom apartment features a seating area, cable TV, a balcony and a private bathroom. It also comes with a kitchen fitted with a stovetop, a refrigerator, a microwave and a coffee maker. This apartment features a balcony, microwave and seating area. Adagio São Paulo Berrini is in the middle of business district of Berrini Ave. At Adagio Berrini we offer swimming pool, gym and sauna to relax after a long day of work. For your family we offer children's play area and laundry self service. Free Wi-Fi in all areas. Sightseeing: São Paulo Zoo, Ibirapuera Park and Parque do Povo. Sport: Estádio do Morumbi (football stadium), Ginásio do Ibirapuera (multi-purpose indoor stadium) and Autódromo de Interlagos (motorsports race circuit). Shops: Morumbi Shopping Centre, Vila Olímpia Shopping Centre and JK Iguatemi Shopping Centre. Area Info – This neighborhood is a great choice for travelers interested in gourmet food, restaurants and food – Check location Excellent location – show map Guests loved walking around the neighborhood! House Rules Adagio SP Berrini takes special requests – add in the next step! Adagio SP Berrini accepts these cards and reserves the right to temporarily hold an amount prior to arrival. Please note that minors under 18 years old must be accompanied by their parents and present an official ID. If only one parent is with the minor, the absent parent must provide a written authorization. If another person other than the parents is designated to accompany the minor, both parents need to provide a notarized authorization for that person. The hotel is currently undergoing renovations. - No complete glass window panes! Only half a glass pane, other half is a shutter. No way to block out noise from street.